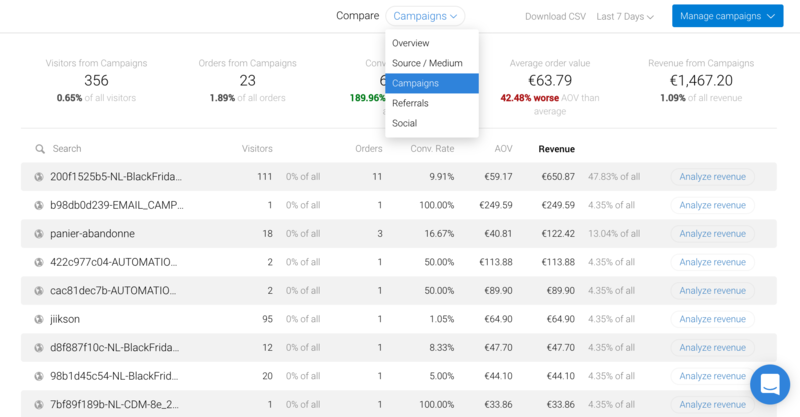 Here's how each view in the Marketing Performance tab can help you. 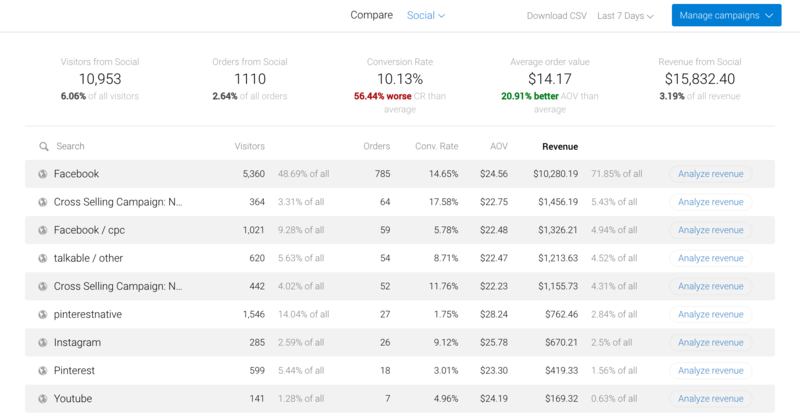 In this view, you can easily compare all traffic and the revenue from all channels. It lets you monitor your influencer marketing efforts, other organic referrals and campaigns with coupons. The social view shows you only traffic and revenue coming from social networks so you can compare how organic performs vs paid. 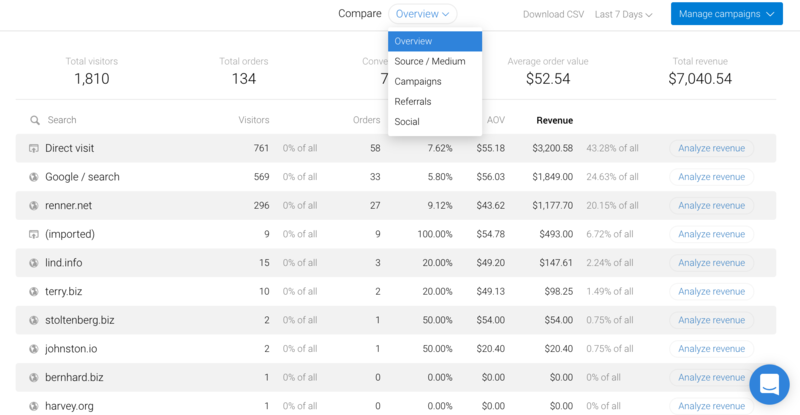 In this view, you see revenue from defined campaigns - either defined with a UTM parameter (Metrilo catches them automatically) or defined in the "Manage referrals" field in the tab (top right corner). Generate unique tracking link for a campaign and follow its performance. Tag all campaigns to easily differentiate them from the organic traffic. Import a list of coupons to monitor them as a whole campaign. Check the tab daily to monitor daily targets and adjust ad spend.